Book presentation and panel discussion with Johanna Mair, Christian Seelos, Helmut K. Anheier, and Norbert Kunz. An organisation, and ultimately its impact, can be fundamentally defined by how it manages the dual challenge of innovating and building on its existing strengths, say Hertie School Professor of Organisation, Strategy and Leadership Johanna Mair and Hertie School adjunct and Visiting Scholar at the Stanford Center on Philanthropy and Civil Society (PACS) Christian Seelos in a new book. 'Innovation and Scaling for Impact: How Effective Social Enterprises Do It' reflects a decade of research on how organisations in the social sector create value. Their impact is affected by how they balance investment in innovation - the implementation of new ideas, and expansion through existing strengths, a process the authors call 'scaling'. 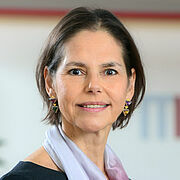 Johanna Mair (Moderation) is Professor for Organization, Strategy and Leadership at the Hertie School. Her research focuses on how novel organisational and institutional arrangements generate economic and social development. Christian Seelos is the Director of Social Innovation Practice at the Harvard University Kennedy School, a Research Fellow at the Stanford University Center on Philanthropy and Civil Society, and the Leo Tindemans Chair of Business Model Innovation at KU Leuven. Previously, he was an Adjunct Professor for Strategy and Sustainability in the Strategic Management Department at IESE Business School. He teaches Master-level and executive courses in Global Strategic Management, Innovation, Social Entrepreneurship, and Strategy and Sustainability. His recent research on innovative corporate strategies in emerging markets won him the Gold Price, 2008 of the highly contested IFC-FT essay competition. Norbert Kunz is the CEO of social impact gGmbH and the co-founder of various organisations, such as the German Microfinance Institute and Stattauto Carsharing AG Berlin. Since 2007, he has been an Ashoka Fellow. The Schwab Foundation awarded him as 'Social Entrepreneur of the Year' in Germany in 2010 and, in 2011, as 'Social Entrepreneur of Europe'. In addition, he is a Member of the Global Agenda Council on Social Innovation, as well as of the European Commission Expert. 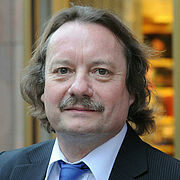 Norbert Kunz is one of the highest-profile social entrepreneurs in Germany. For 20 years he has advised and supported entrepreneurs, companies, and non-profit organisations in developing their business models, financial plans, and organisational structures.